When you make an offer on real estate you want to buy, there can be a lot of paperwork involved. Many additions to real estate purchase contracts are obvious, such as the address of the property, purchase price and owners. Here is a list of 5 things to consider and include when drafting a real estate purchase agreement. Be sure to include a legal description of the property, including zoning information. In commercial real estate, this is more than just the mailing address of the property. Legal descriptions must include proper nomenclature used by the U.S. Public Land Survey System, including zoning codes. If the description is not included, the real estate contract may be invalid. 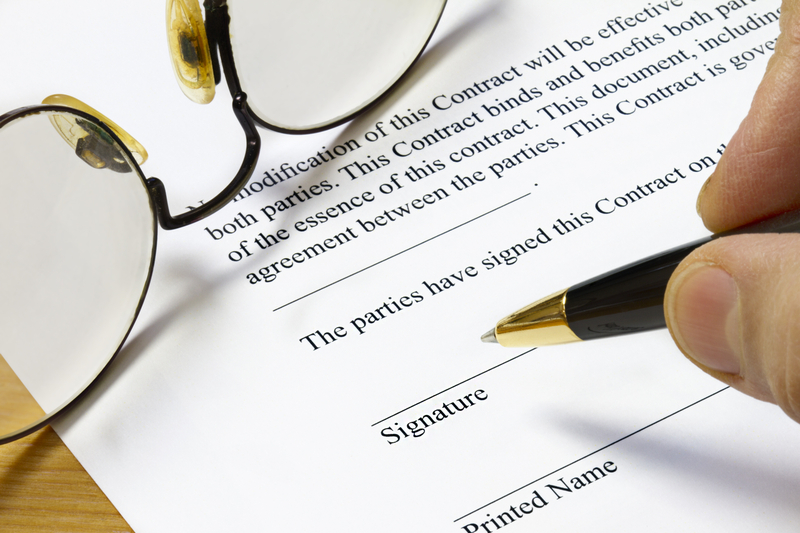 You want to establish who pays closing costs in the real estate purchase contract. The buyer and seller should specify who is responsible for common fees such as escrow fees, title fees, title insurance, transfer tax and notary fees. If you want the seller to pay all or part of the closing costs, make sure to specify this in your offer. In California, the location of the property is used to determine how fees are divided. Make sure to include an inspection contingency in your purchase contract to protect yourself if a serious issue with the property comes to light after an inspection is conducted. This includes the buyer’s right to cancel the sale after conducting due diligence. Common time frames for closing dates are 30 days, 45 days and 60 days. You should allow sufficient time for closing contingencies, including financing the transaction. Allow yourself room to amend or modify the purchase contract after its completion. By adding a clause allowing the right to amend of modify, both parties may amend the purchase contract after it has been completed. Keep in mind that this does not change the original contract and large amendments are usually better done by creating a new contract. By including these essential items in your real estate purchase contract, both the buyer and the seller are protected and the purchase is transparent for both parties. Be sure to sit with an experienced real estate lawyer before making final decisions.